Watch Your Doors - Danbury, Fairfield County, Westchester County | The New England Computer Group, Inc.
Let me give an example. A new restaurant opened near my office. It’s been very successful, and I eat there regularly. The only problem is the horrendous door you have to go through to get in. Opening it causes an obnoxious grating sound, not unlike a few metal tomcats duking it out in an alley. The pull is hard and inconsistent. At first I thought they’d fix it, but since it hasn’t been dealt with in months, it’s clear to me that the owners don’t give much thought to the first impression it creates. What about the doors to your business? 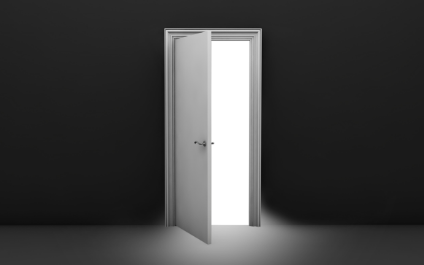 Your website is your online door. Is it aesthetically pleasing? Easy to navigate? Up-to-date? Can a visitor quickly find contact information? Does it just advertise, or does it make it easy for visitors to actually take action? Your office environment is another. Is it a place customers enjoy or endure? If you serve coffee, how good is it? Gordon Hinckley said, “Eternal vigilance is the price of eternal development.” Paying attention consistently will allow you to develop and achieve success. Ignoring the doors, literal and metaphorical, can be costly. A good door makes it easy for customers to enter. A great door invites them in and sets the tone for what follows. Make sure yours immediately conveys everything you want others to know about your business.